The Drager Spectacle Frame is suitable for the Panorama Nova full face mask and the X-plore 6300 and 5500 full face masks. Please note this pack only contains 1 piece. In order to obtain lenses for the spectacle frame you must check with your optician that this is possible. Once you are happy with the lenses the spectacle frame is able to be attached to the inside of the mask. The great thing about this is there is no need for additional tools. 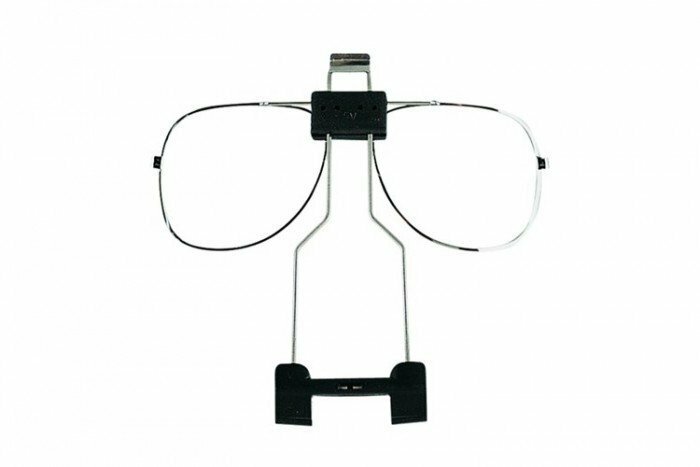 Once the frame is clipped on then the spectacles can be adjusted accordingly. Wearing glasses may break the seal of the mask around the face shape so the spectacle frame brings the added benefit of being able to see without having to compromise the tightness of the mask. The spectacle frame kit is part of a wide variety of accessories and spare parts available for the Drager Panorama Nova full face mask and X-plore 5500 and 6300.